The stroll will take place around the peninsula of Isolella, located in the south side of Ajaccio, about 15 minutes away from Porticcio. We will start with an introduction to sailing with twoseater sea kayaks, and will discover the peninsula and its majestic rocks of Sette e Nave. 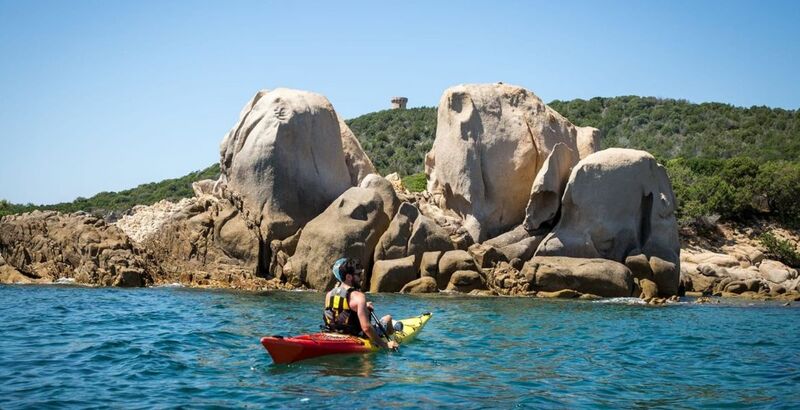 On board the kayaks, this stroll at the foot of a Genovese tower will make you discover one part of the corsican coastline in a playful way. We will make a stopover in order to enjoy swimming, and the most daring ones will have the opportunity to jump from the rocks.